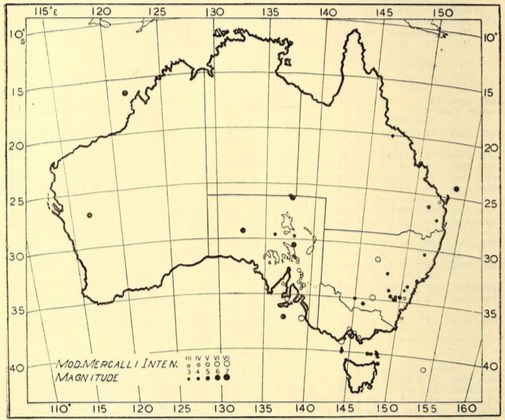 This paper on the seismicity of Australia was only the second listing of earthquakes in continental Australia, and the first by an Australian seismologist using local data. T. N. Burke-Gaffney tabulated 44 earthquakes with their origin time, location and magnitude. Burke-Gaffney was a Jesuit priest, teacher, historian and seismologist at Riverview College in Sydney.